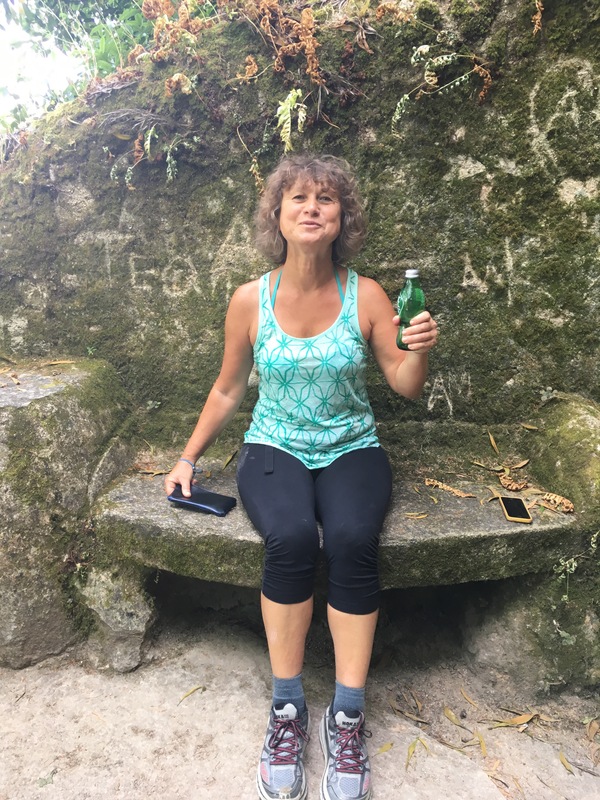 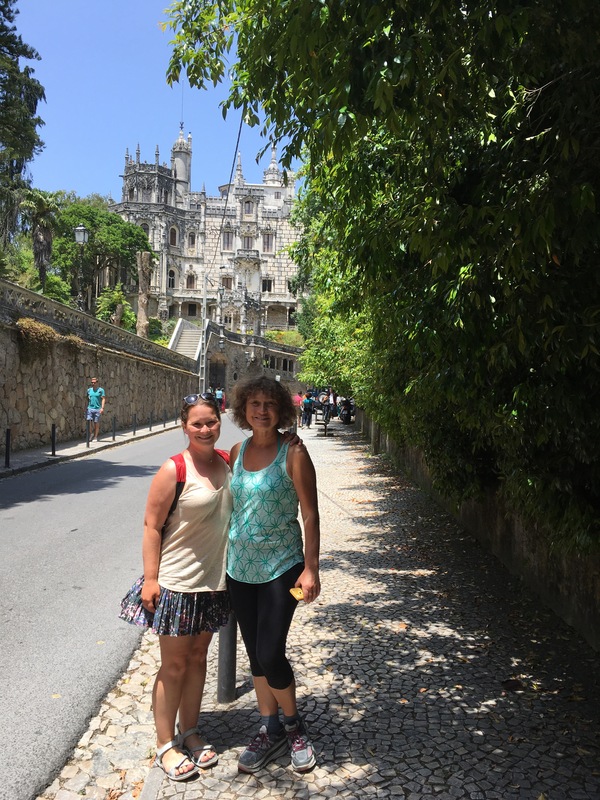 As I finished my Camino, Mom joined me in Santiago the next day. 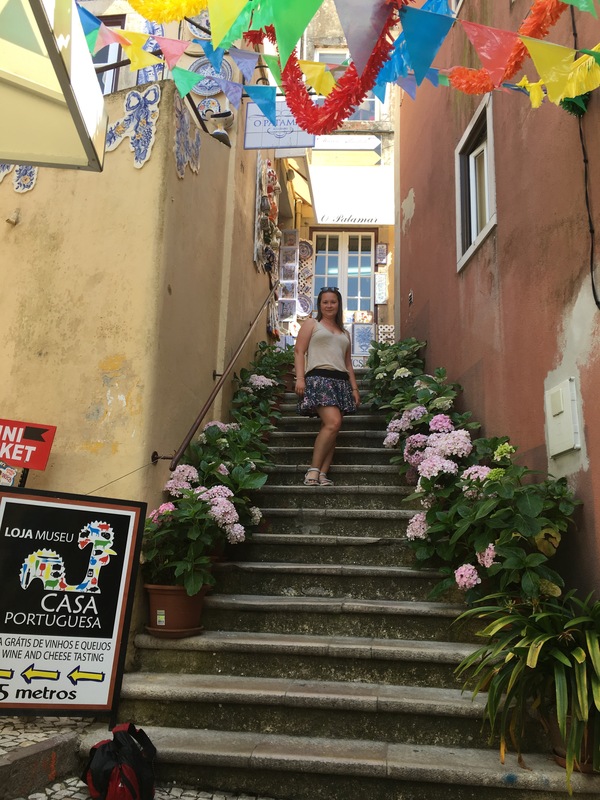 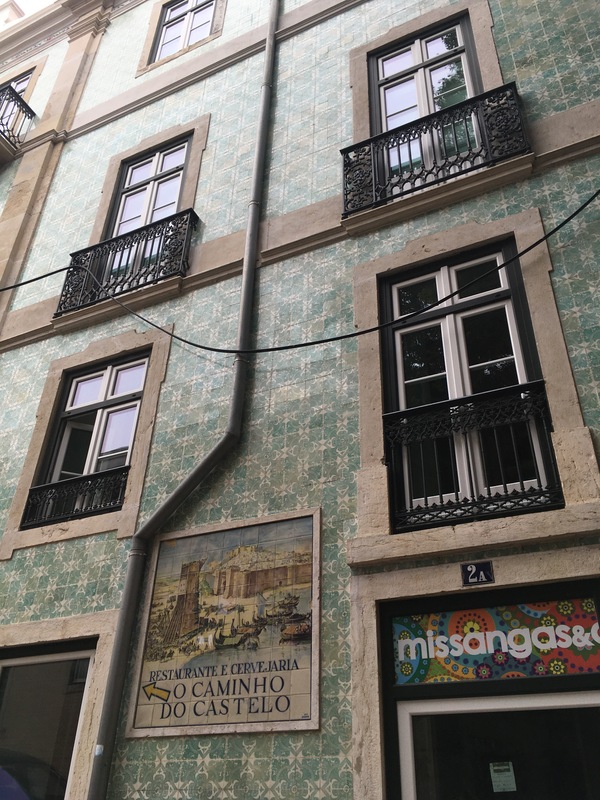 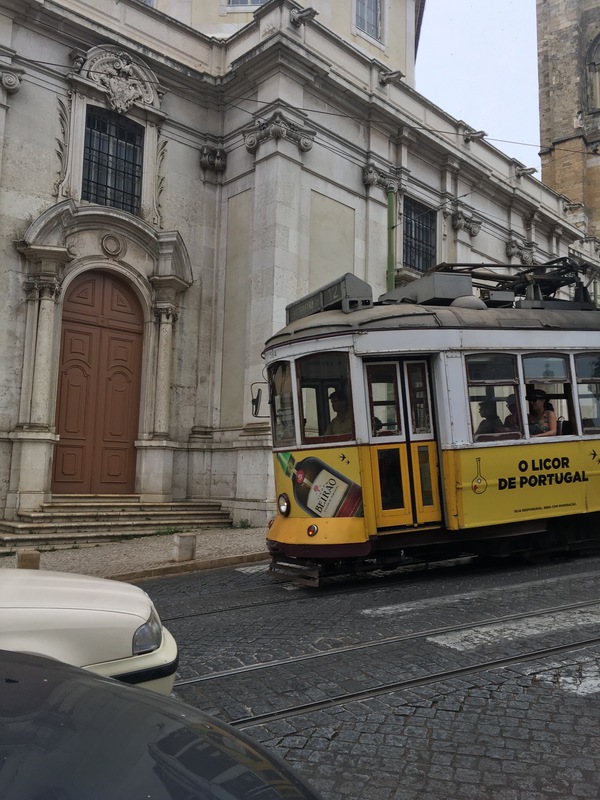 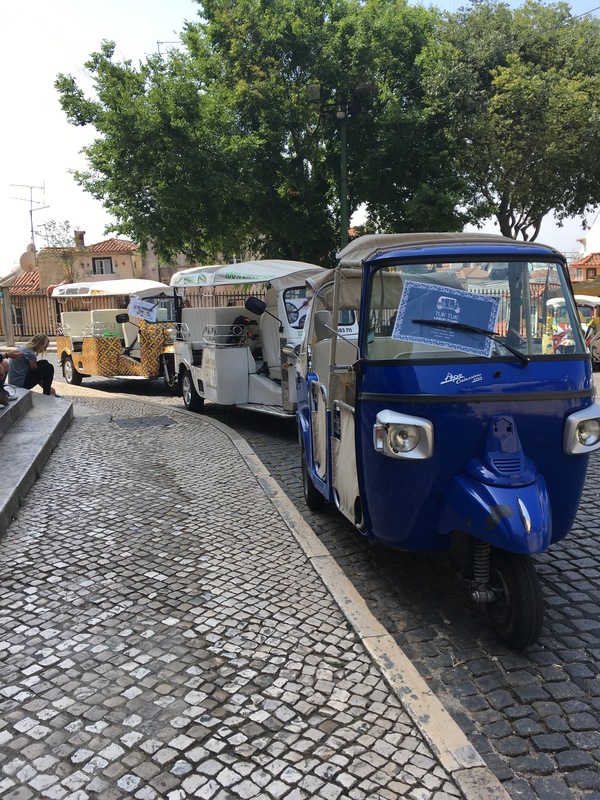 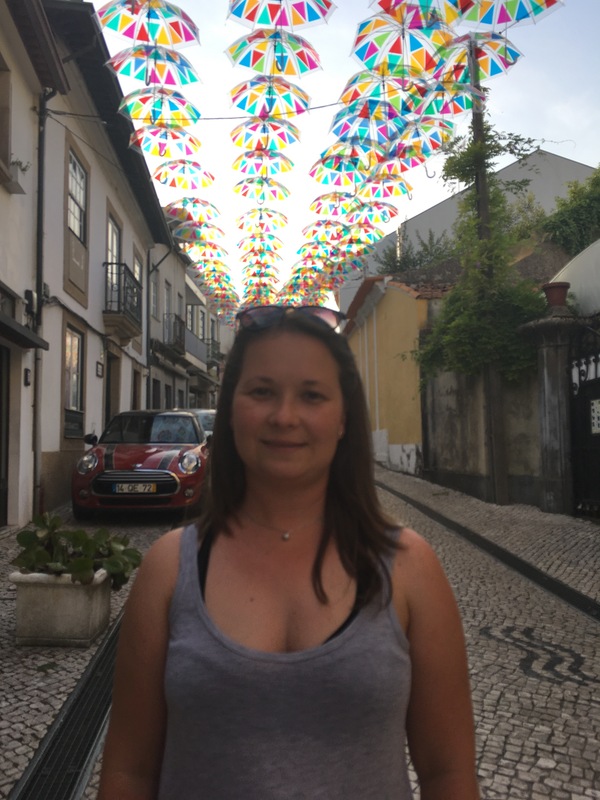 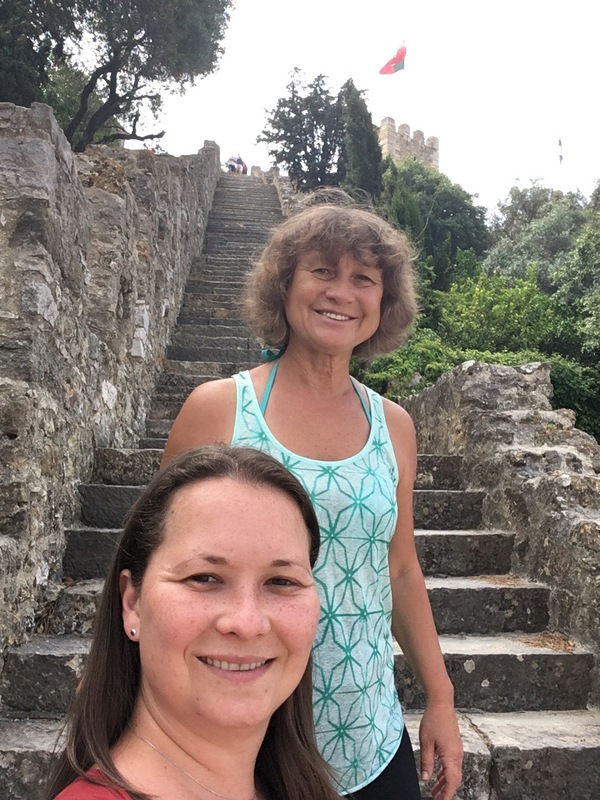 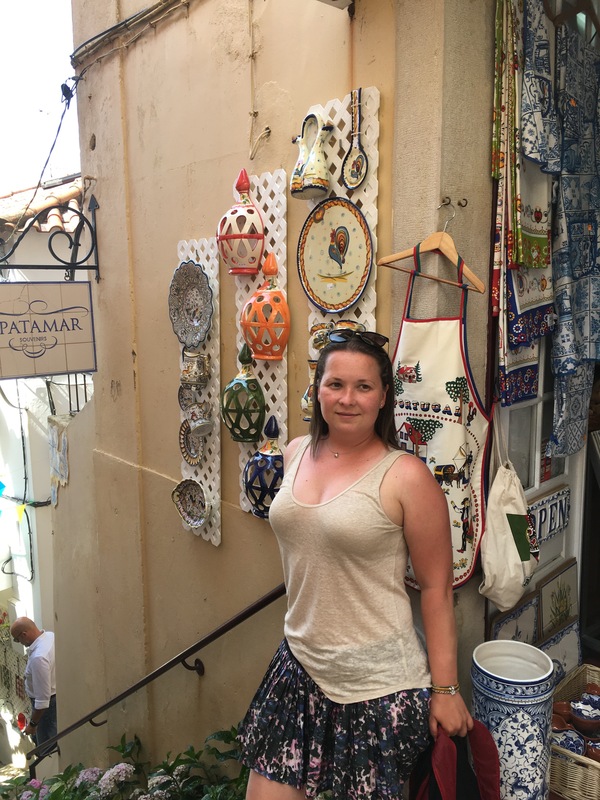 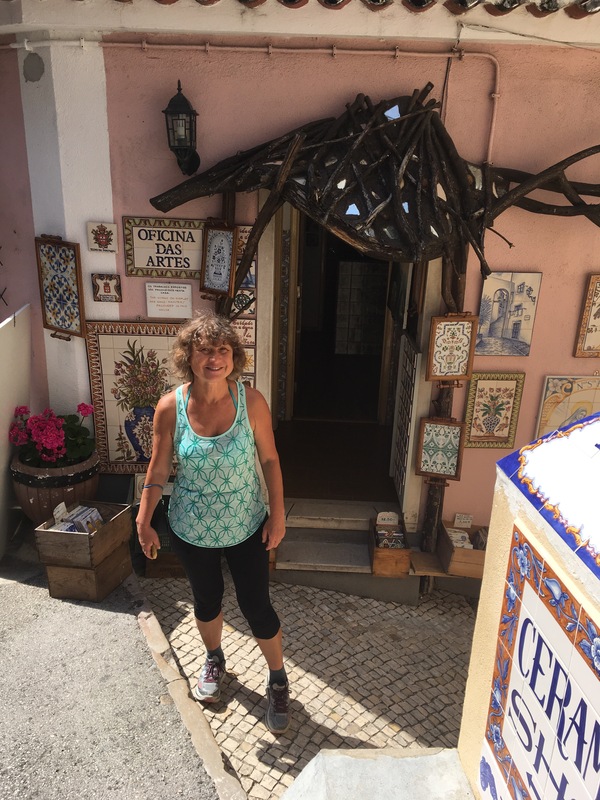 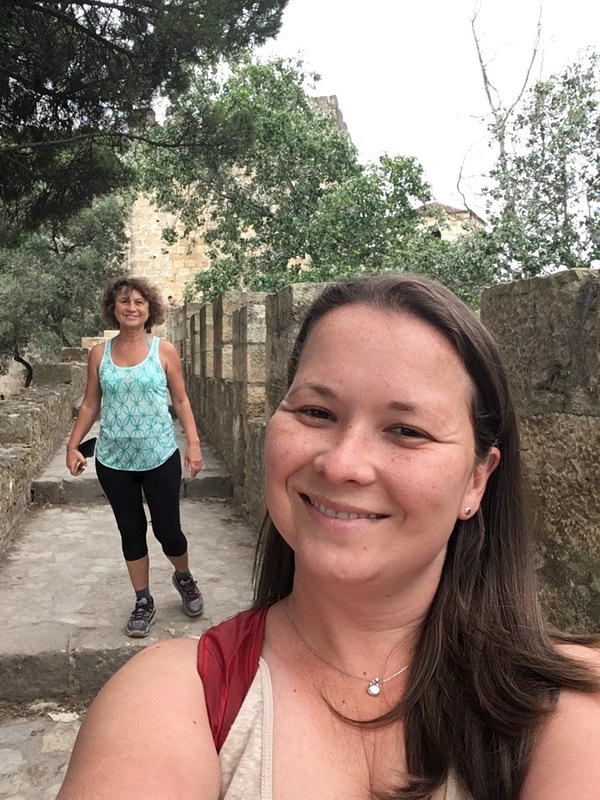 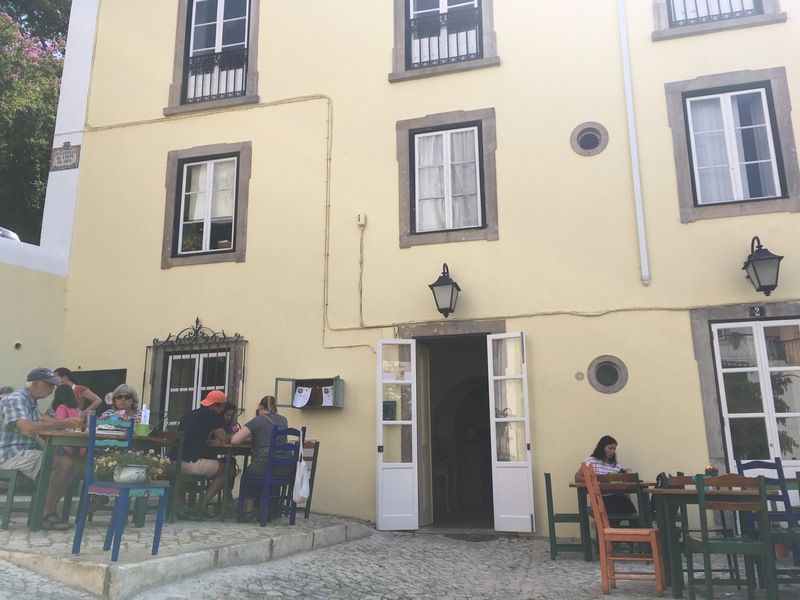 We then came up with a brilliant plan – rent a car for 2.5 days and drive through Portugal – down to Lisbon, and back up – with random stops along the way. 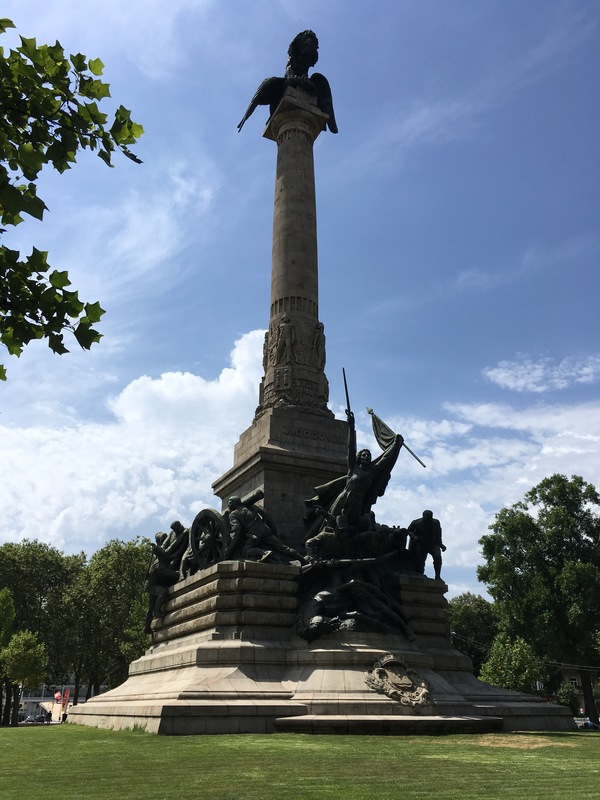 And return on Thursday night back to Santiago in time for my flight back home on Friday morning. 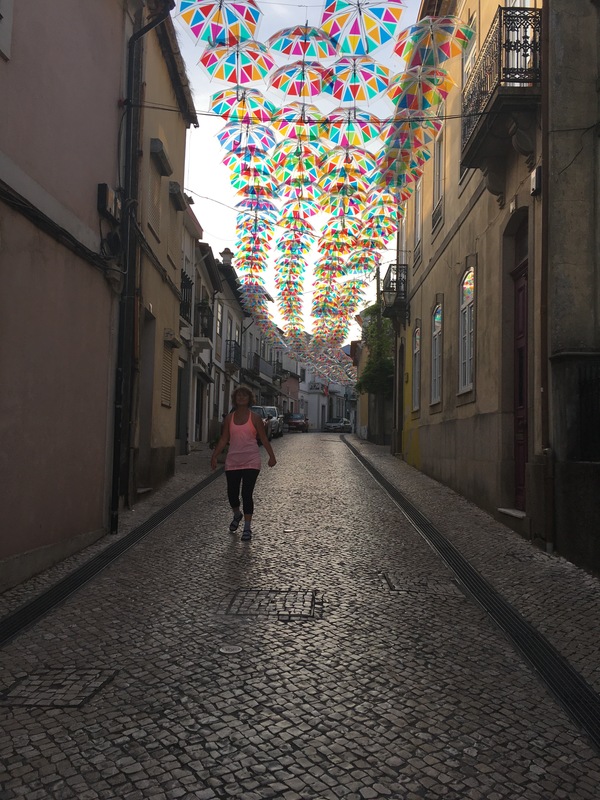 In these short 2.6 days, we’ve covered quite a bit of Portugal and had a minor hiccup along the way. 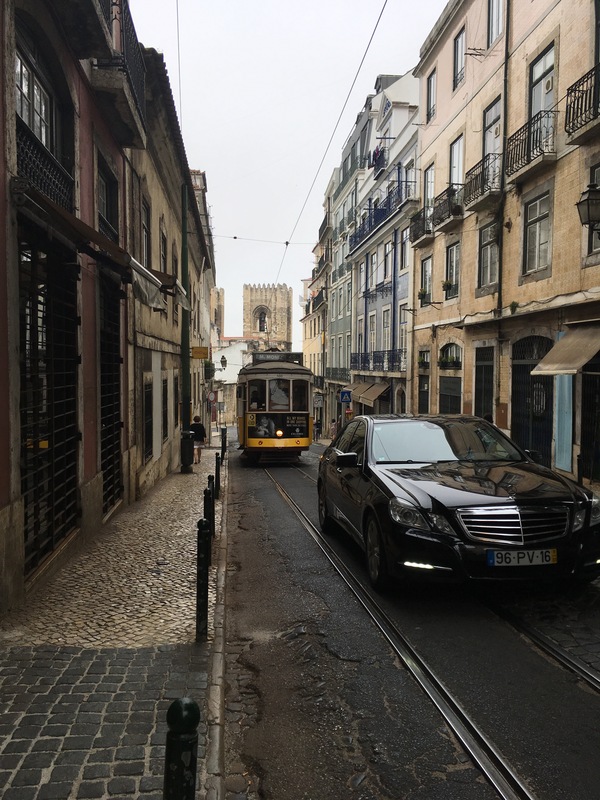 Stop 1: Bus to Porto & pick up of our EuropCar rental. 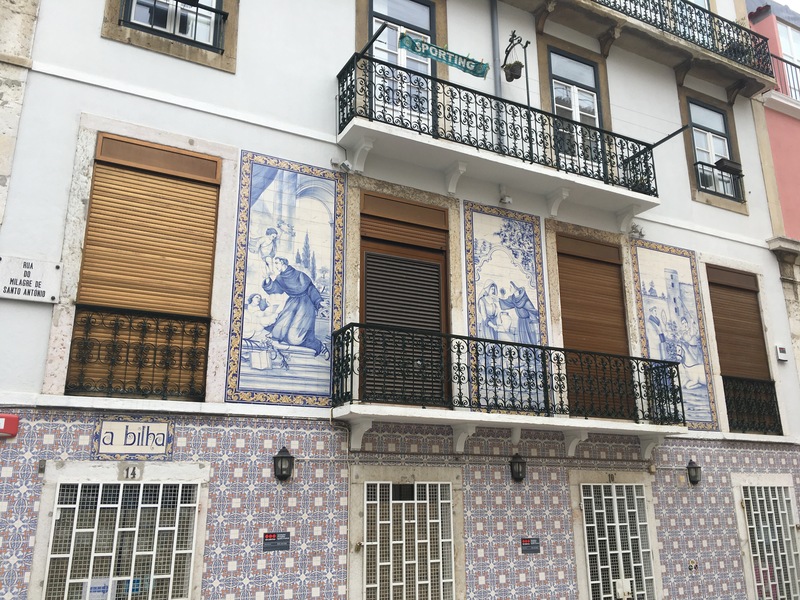 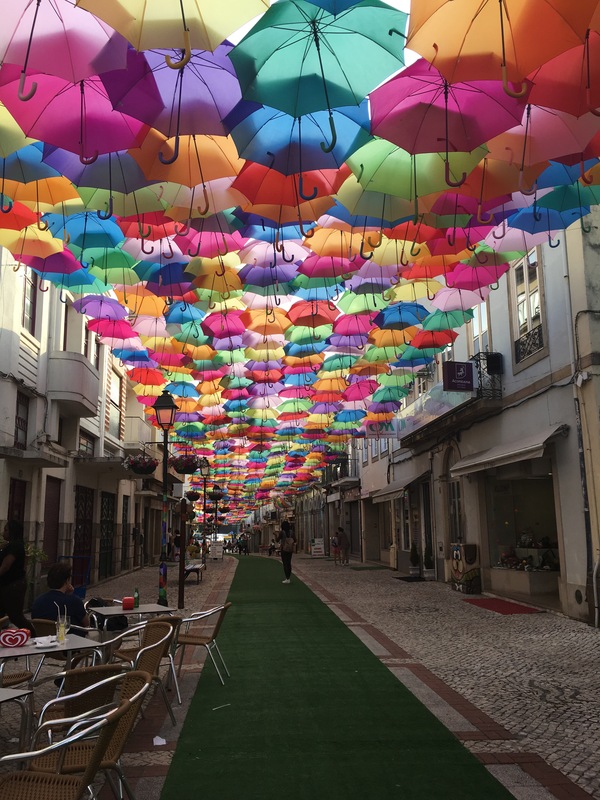 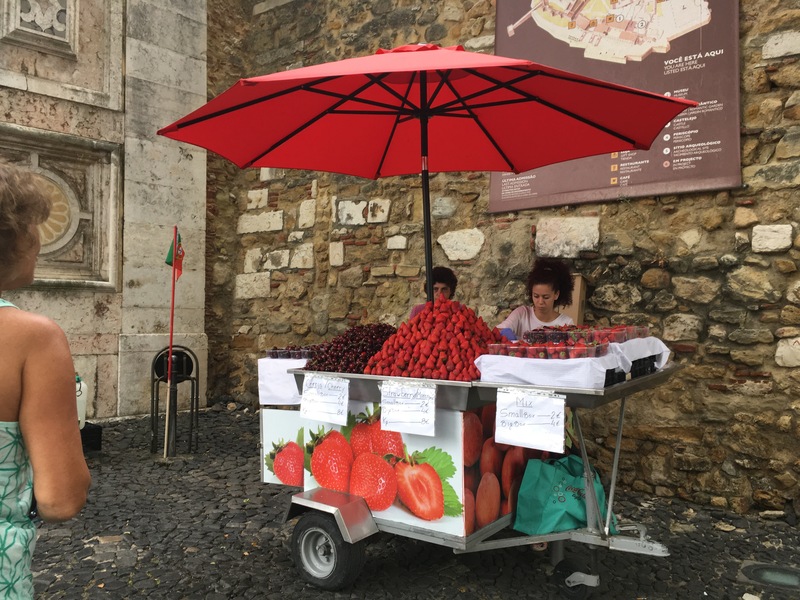 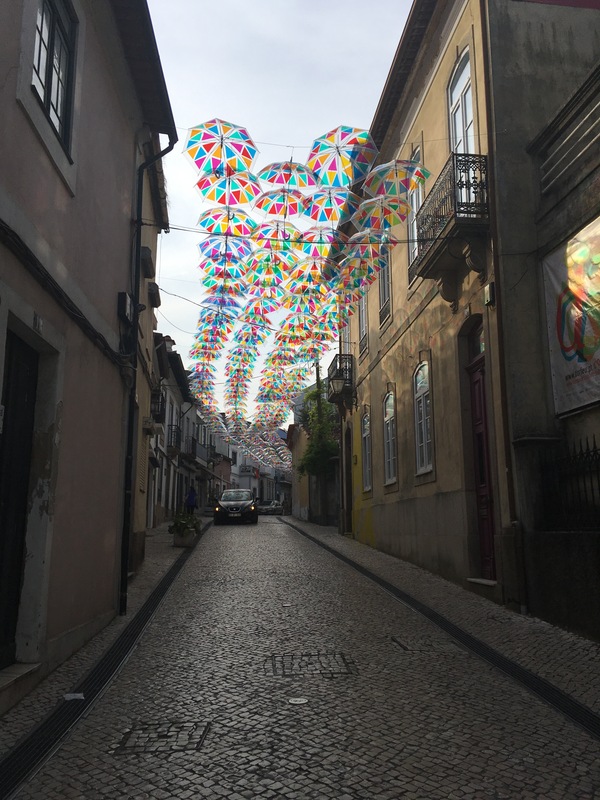 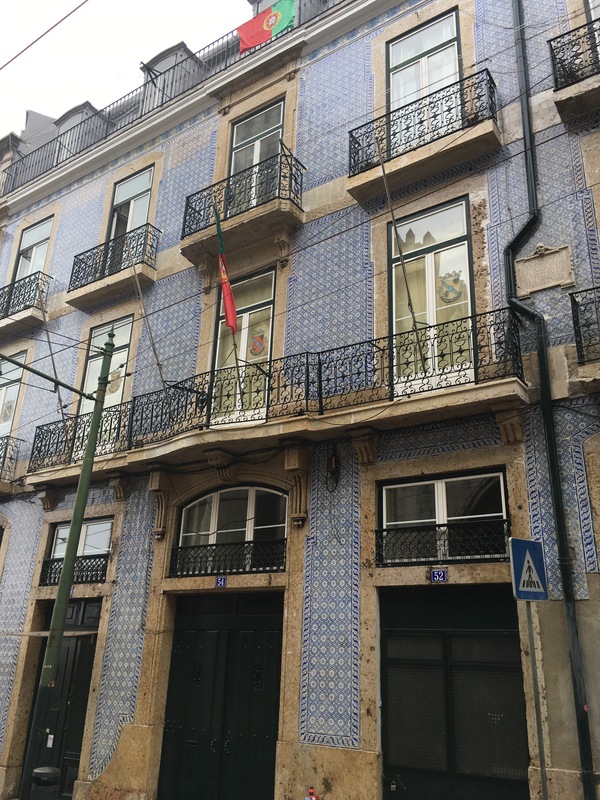 Stop 2: Agueda – umbrella lined streets (a place from my travel bucket list). 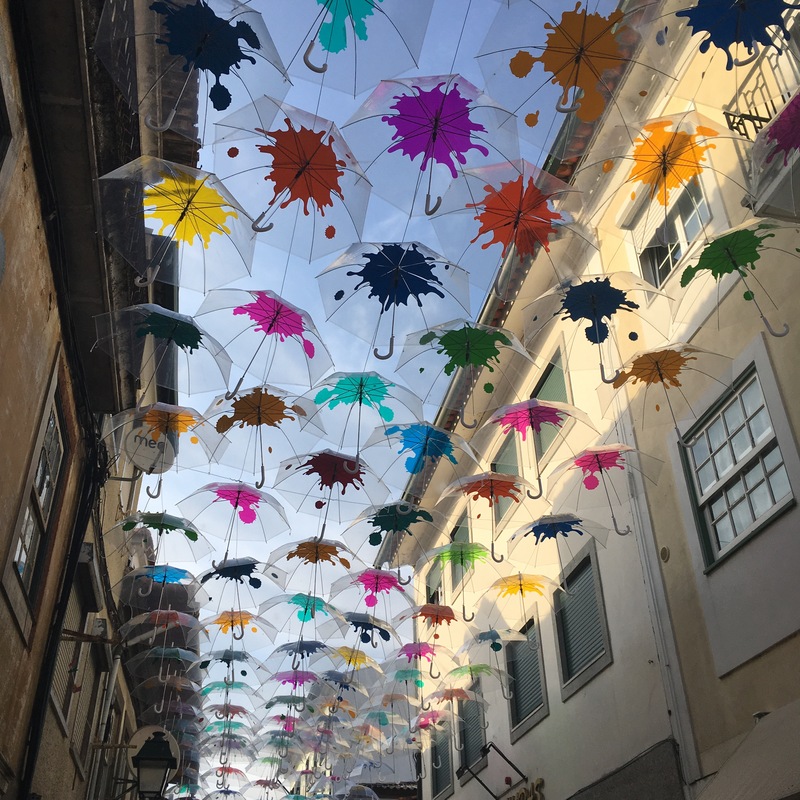 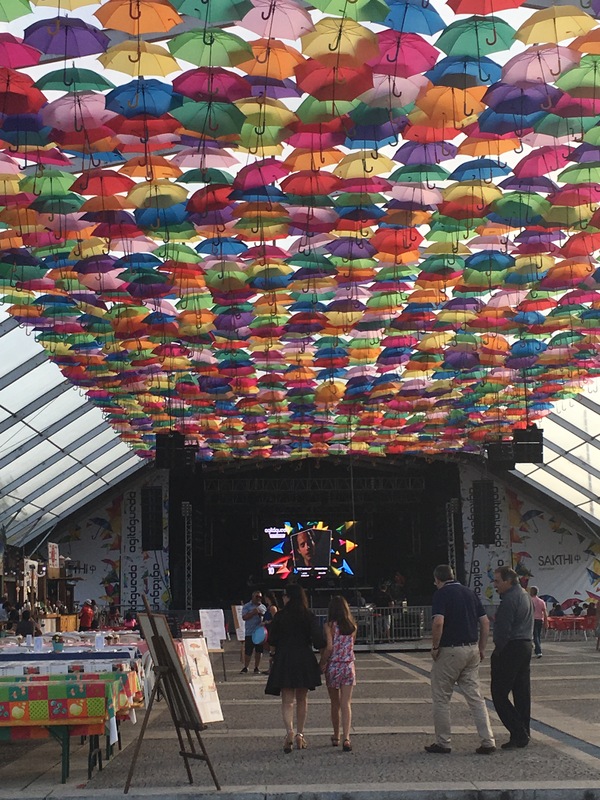 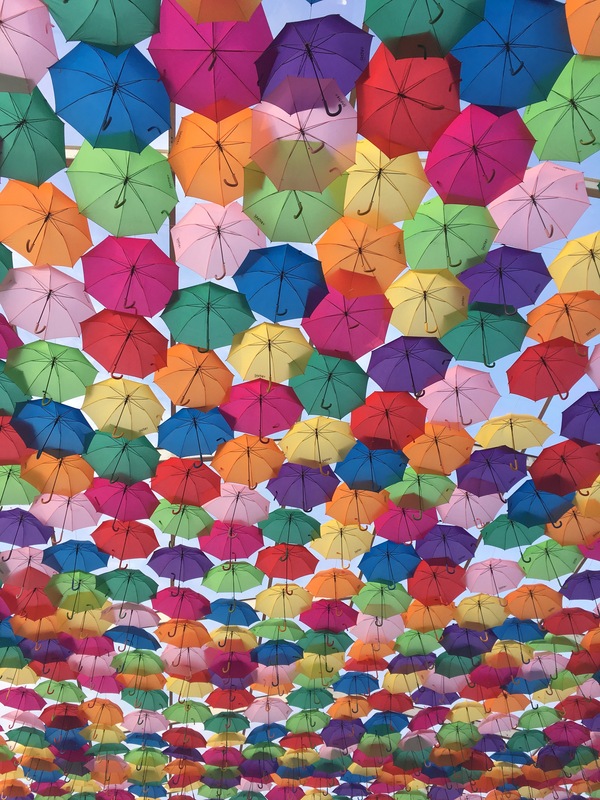 Every July in this little town in the middle of Poetugal streets are lined with hundreds of colorful umbrellas. 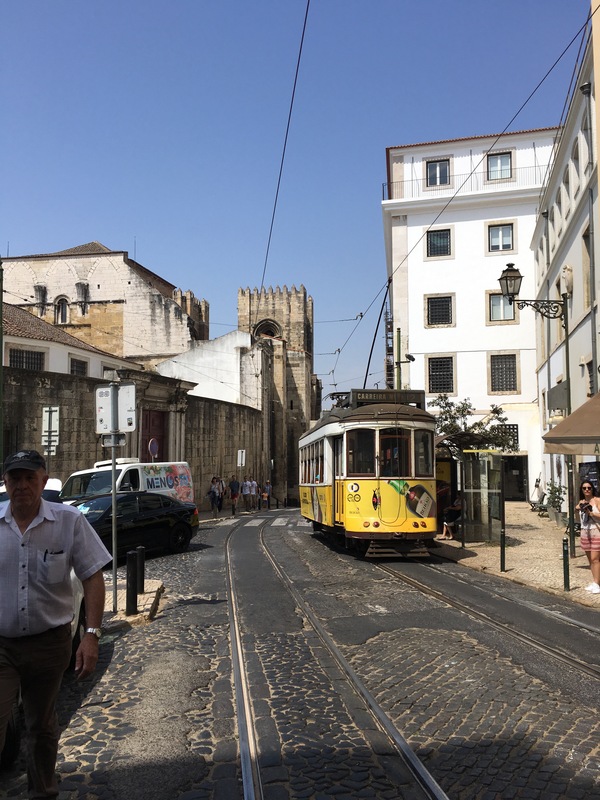 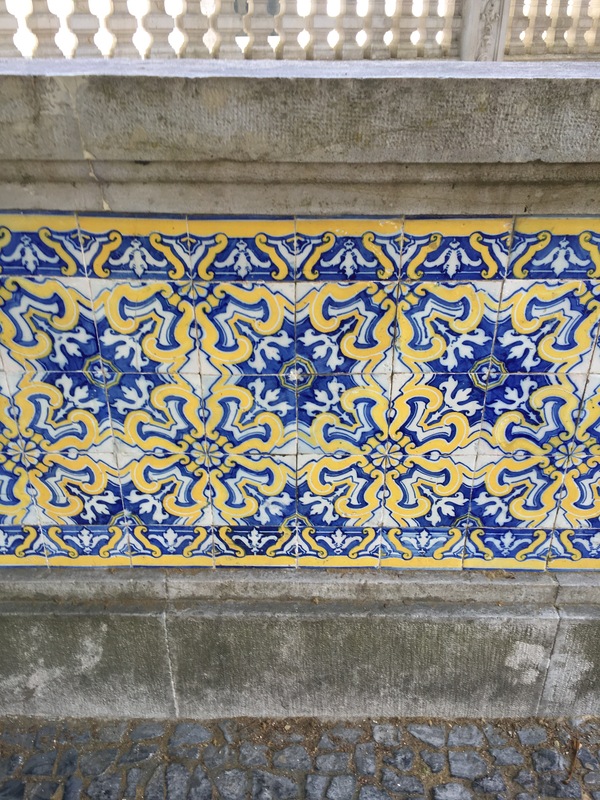 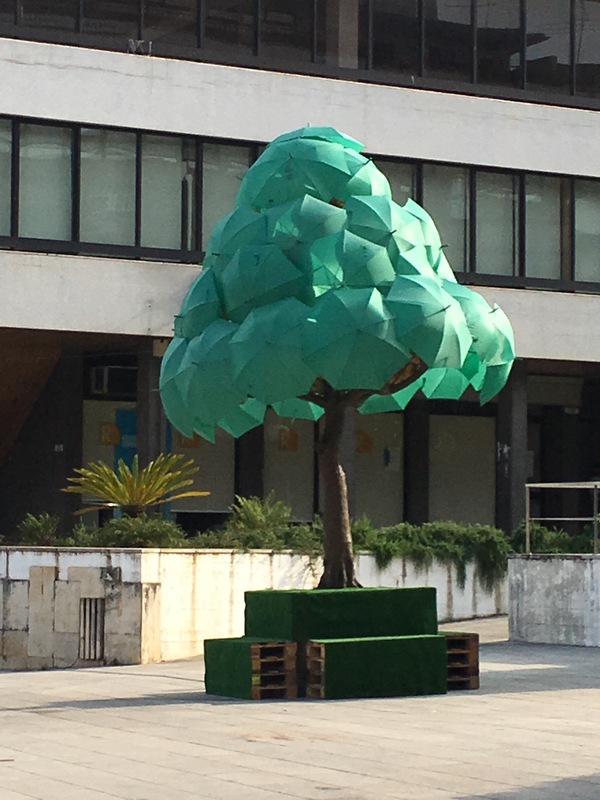 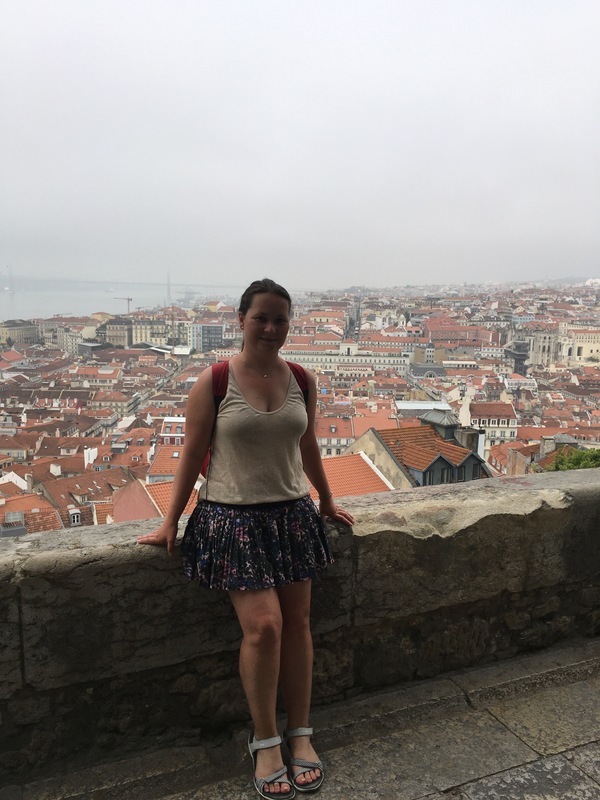 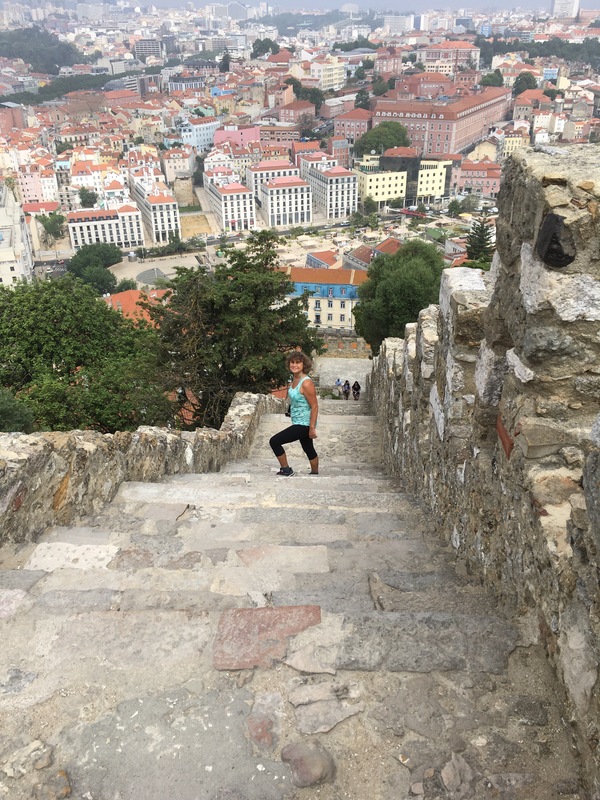 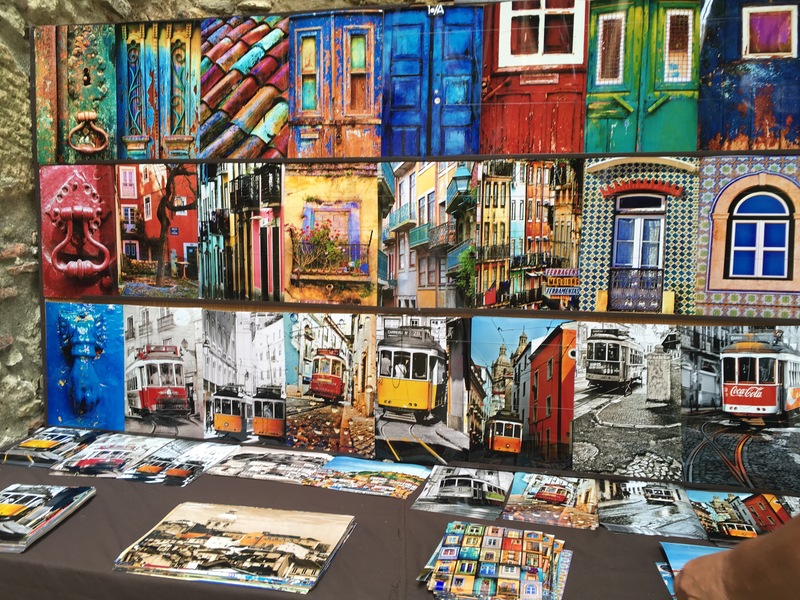 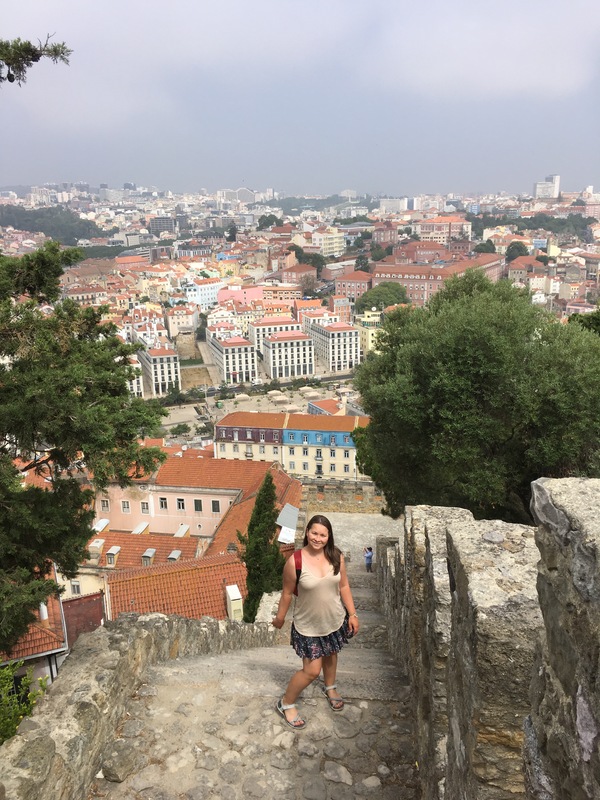 Stop 3: Lisbon – a lovely town with a ton of history. 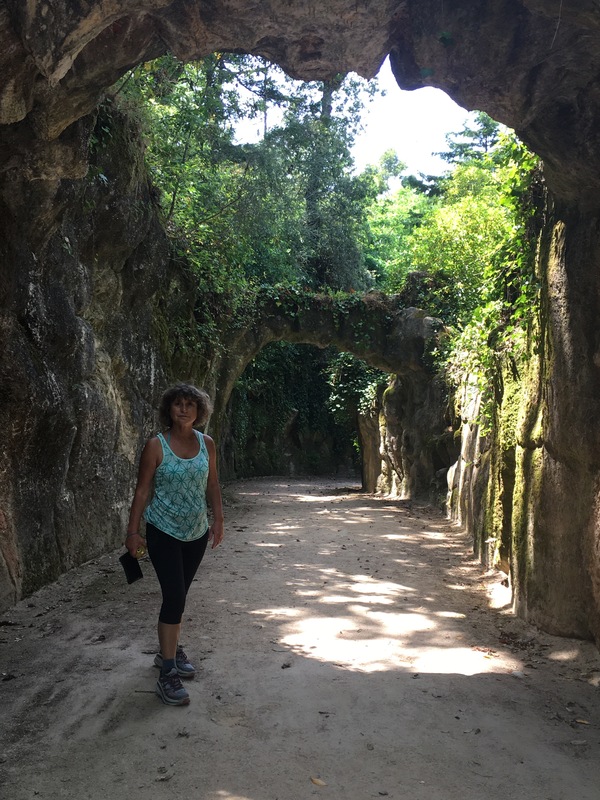 Sandlot we were only here for a few hours. 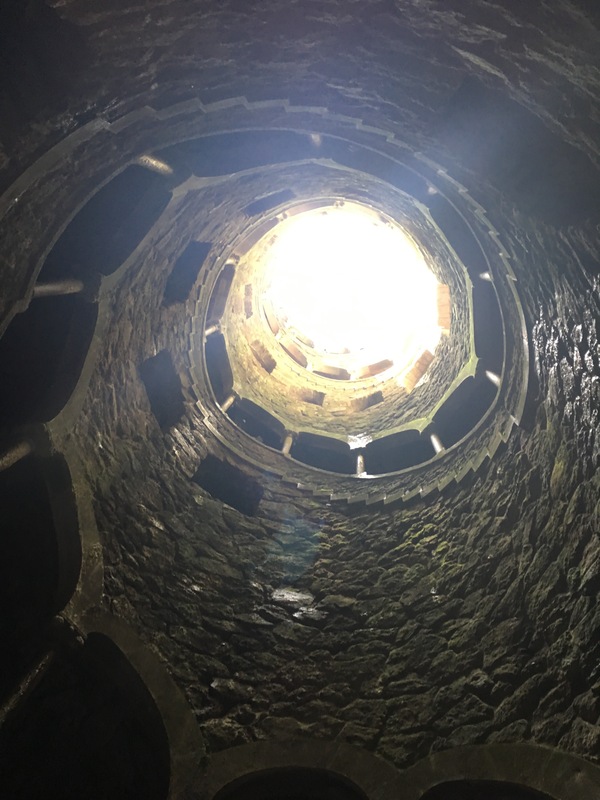 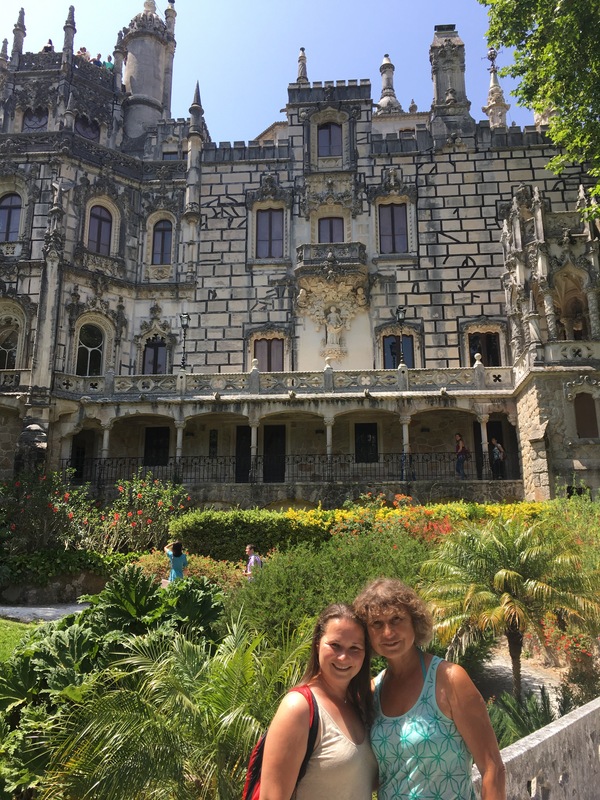 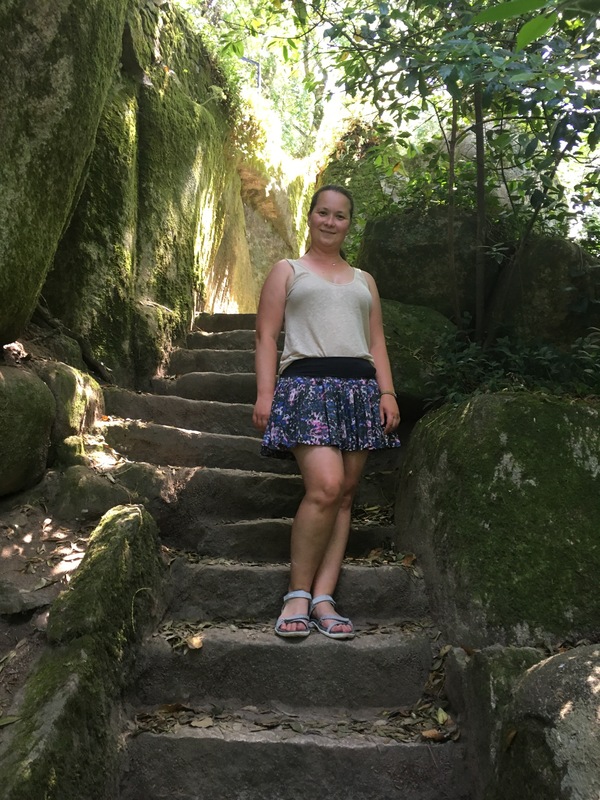 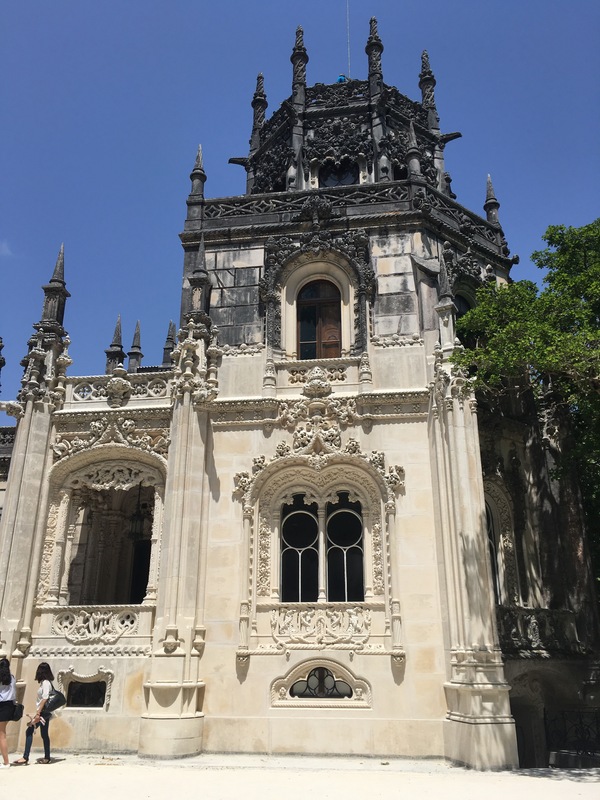 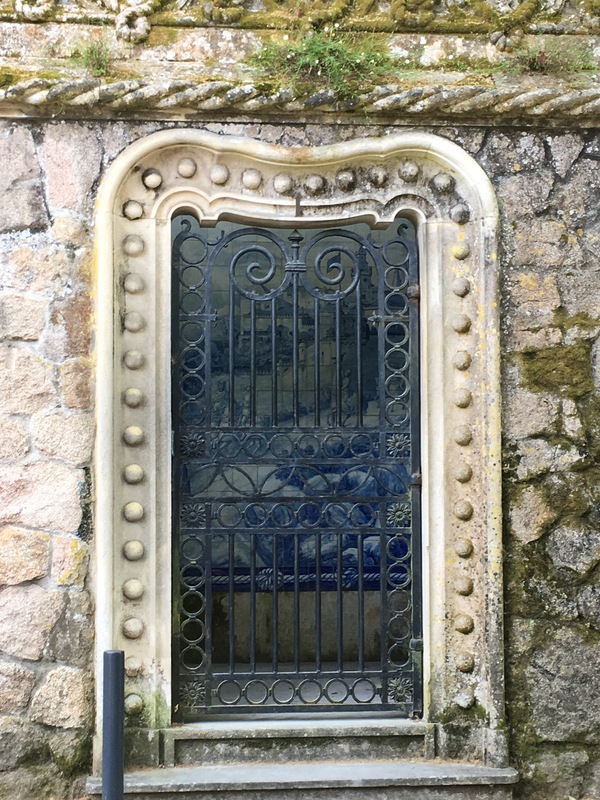 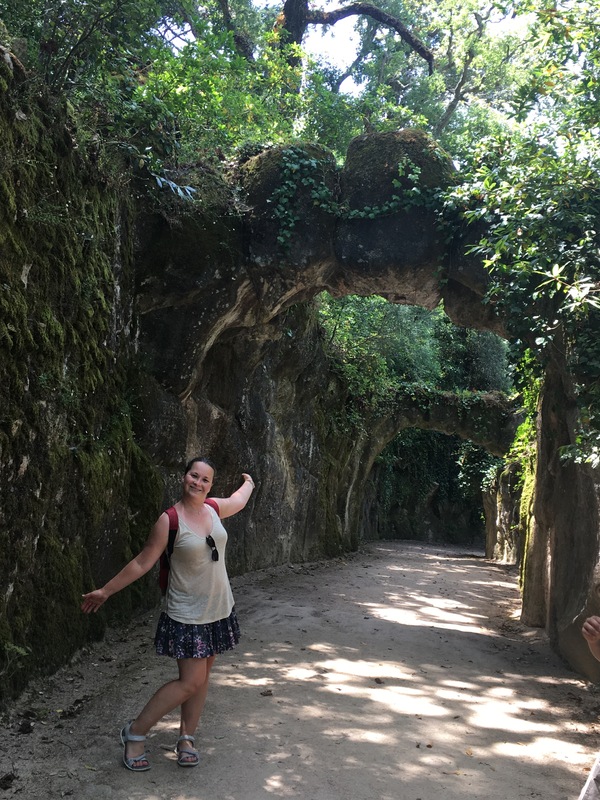 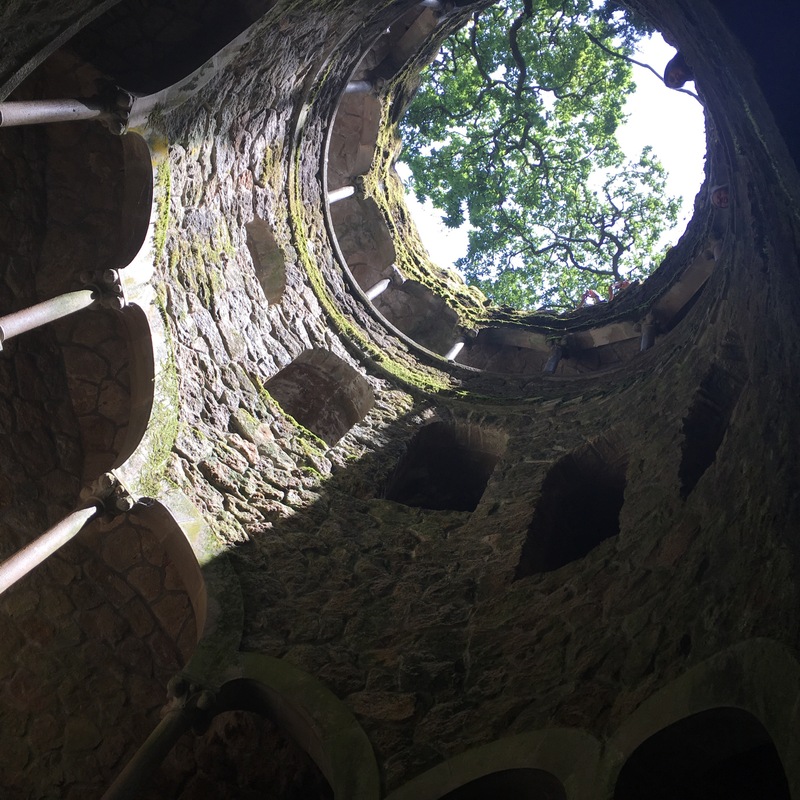 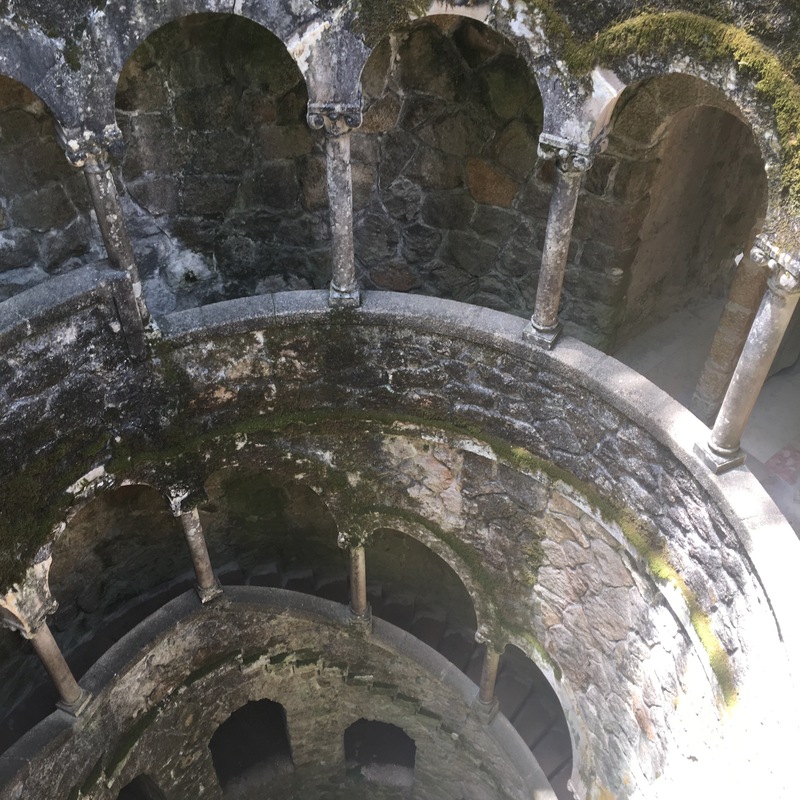 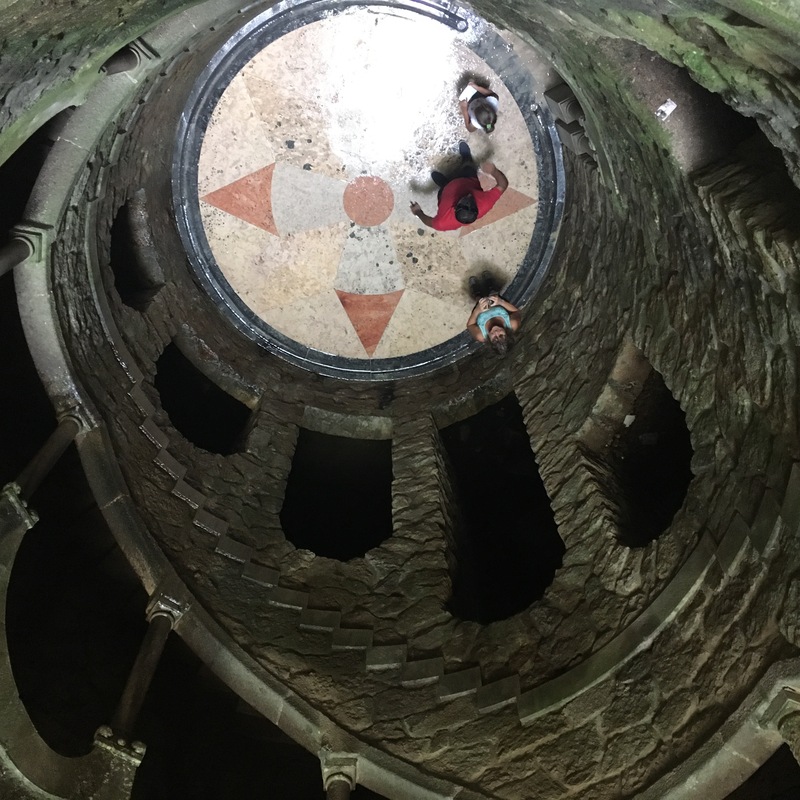 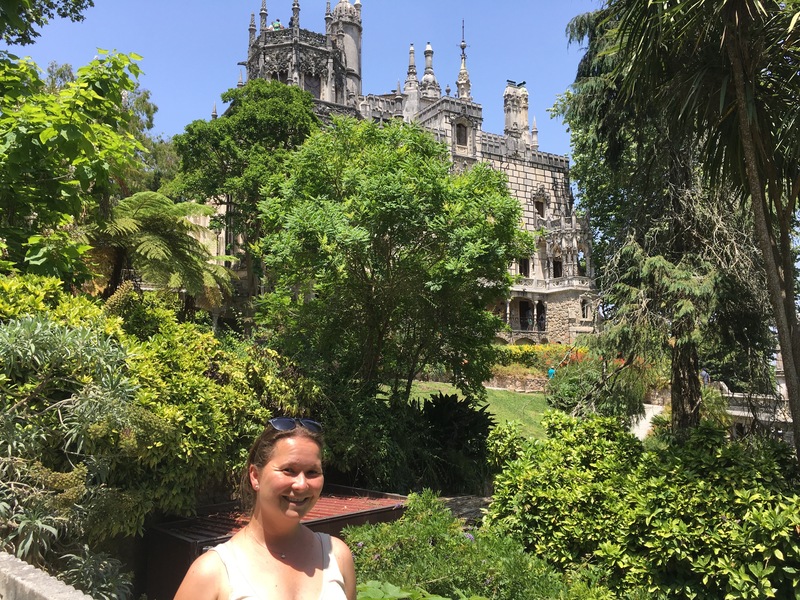 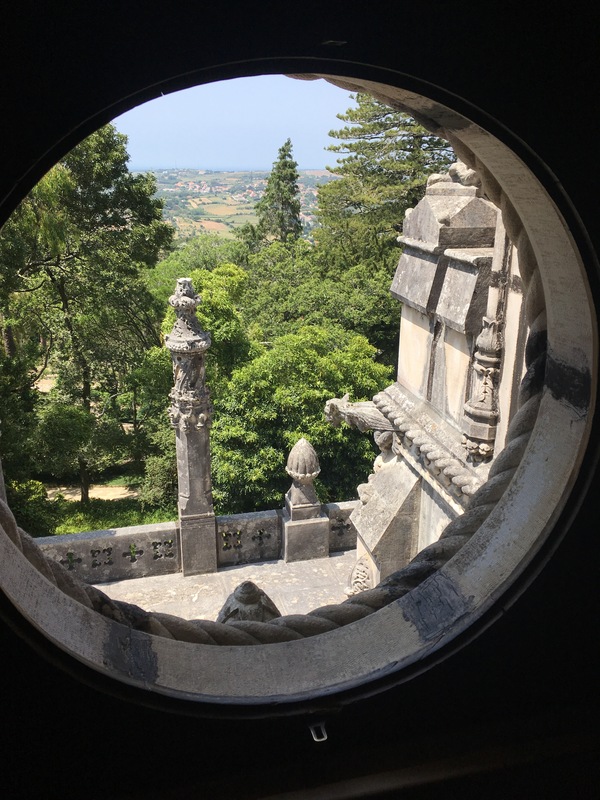 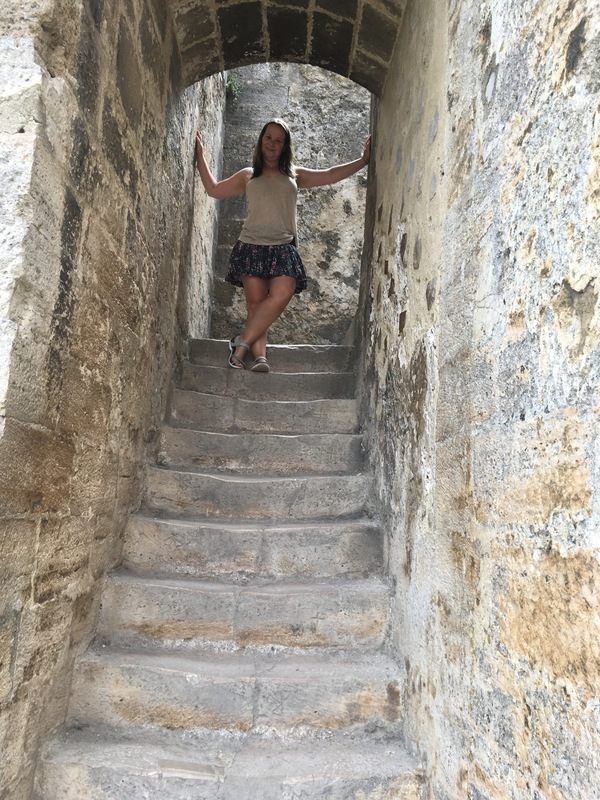 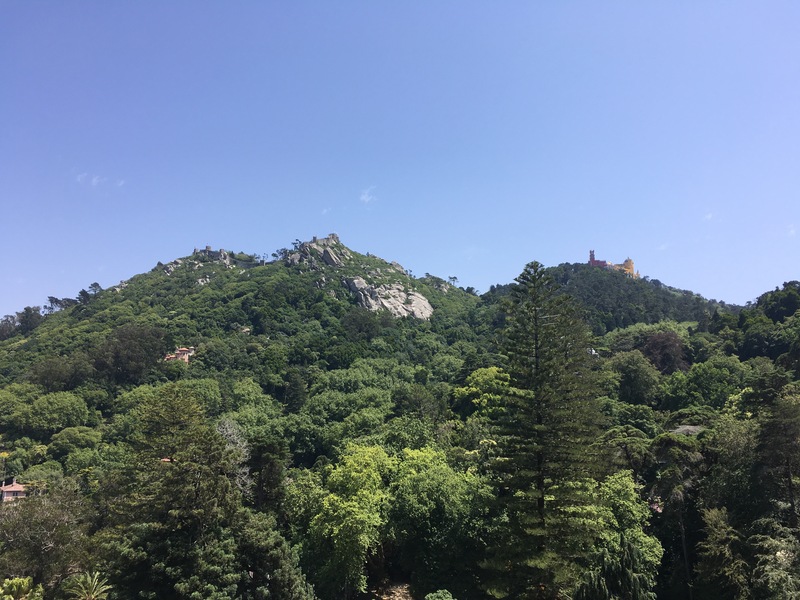 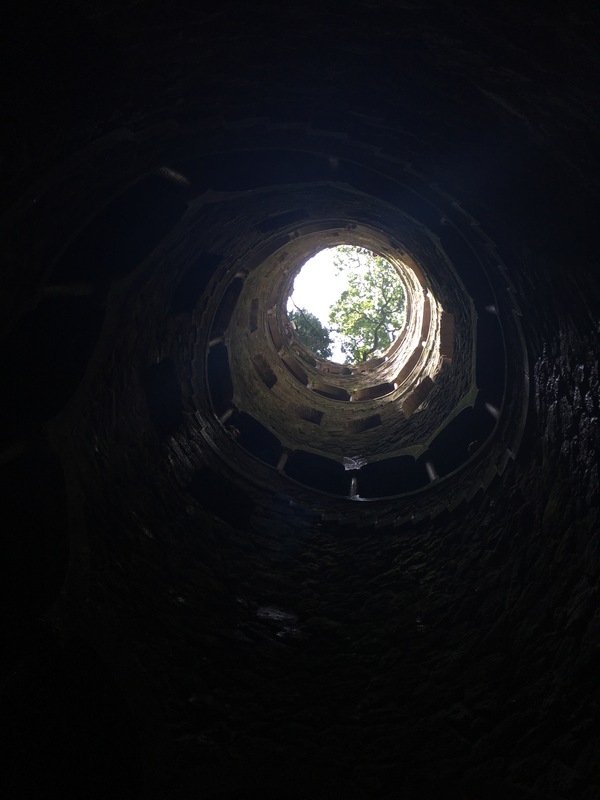 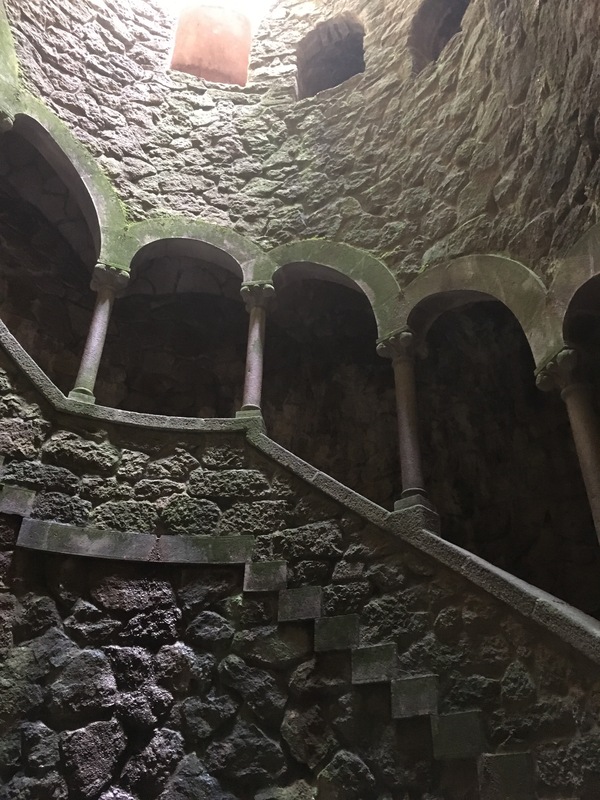 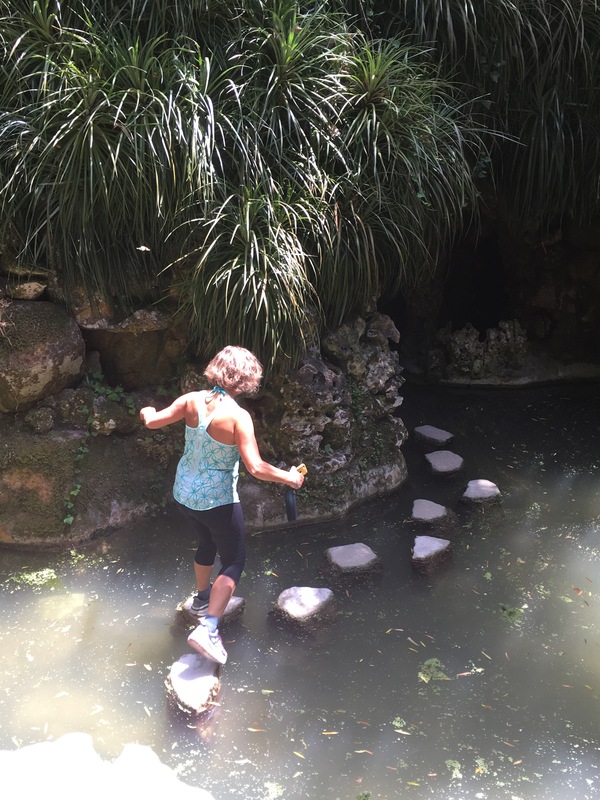 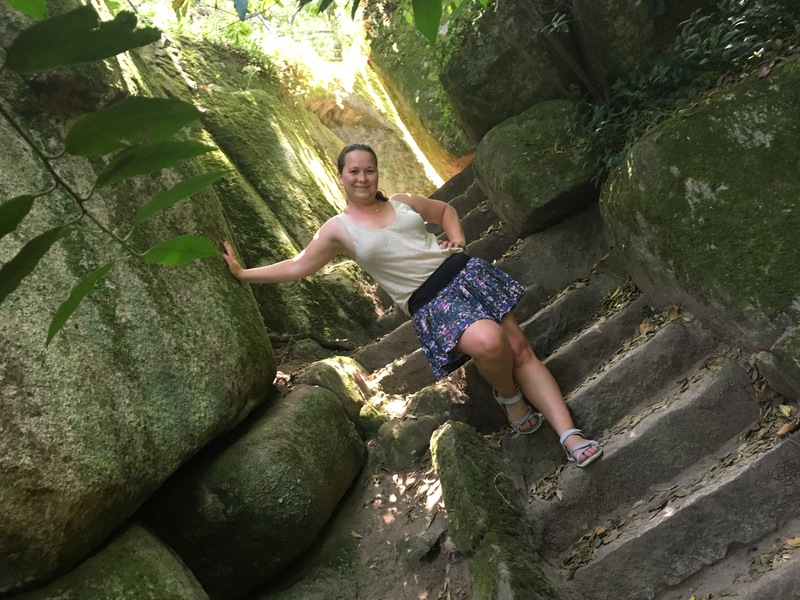 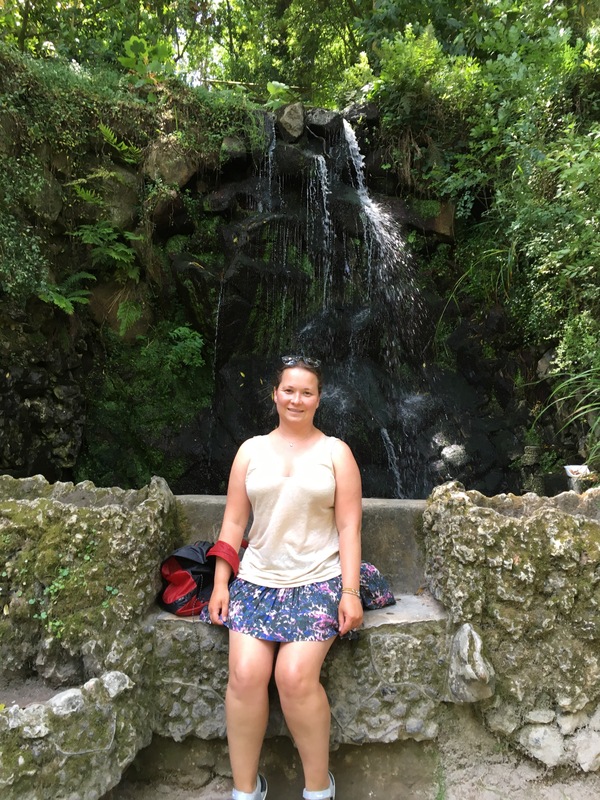 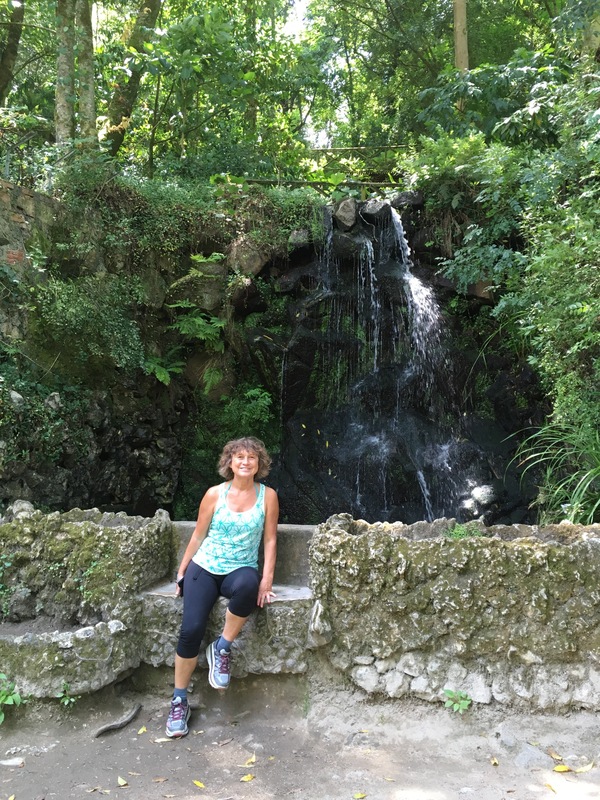 Stop 4: Sintra – a magical mountain with loads of castles and another travel bucket list location checked off the list – The Initiation Well at the Regaleira Estate. 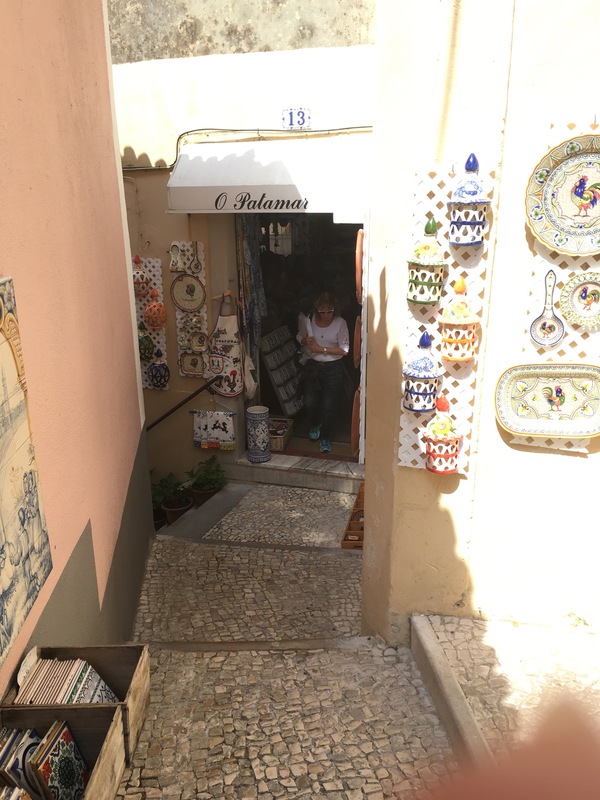 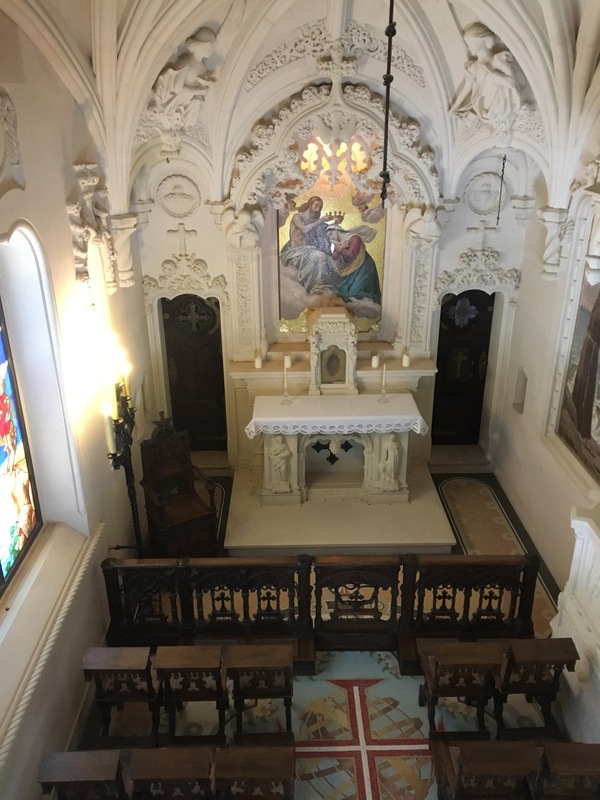 Stop 5: Fatima – it was a sin not to stop here when it was (almost) on our way back. 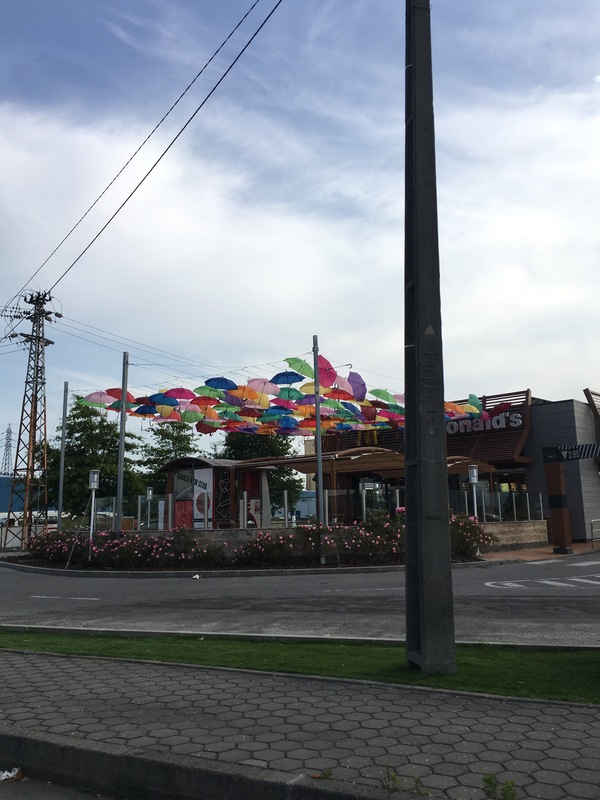 Stop 5: Figueira da Foz – a Miami looking beach village. 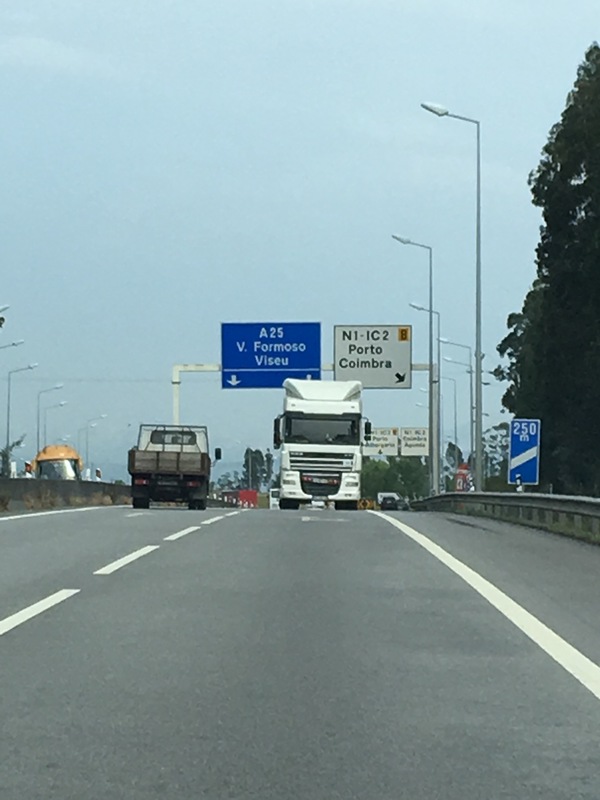 Stop 6: A towing-truck ride back to Porto where we can (hopefully) catch the last bus to Santiago. 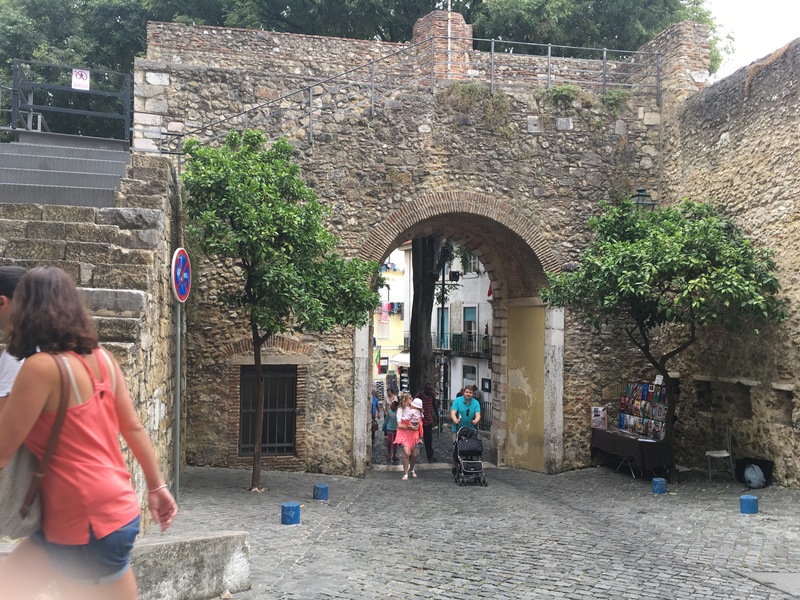 As we were packing and getting ready to leave this lovely beach town, we learned that our rental car’s clutch was shot and the car was not going to drive anywhere. 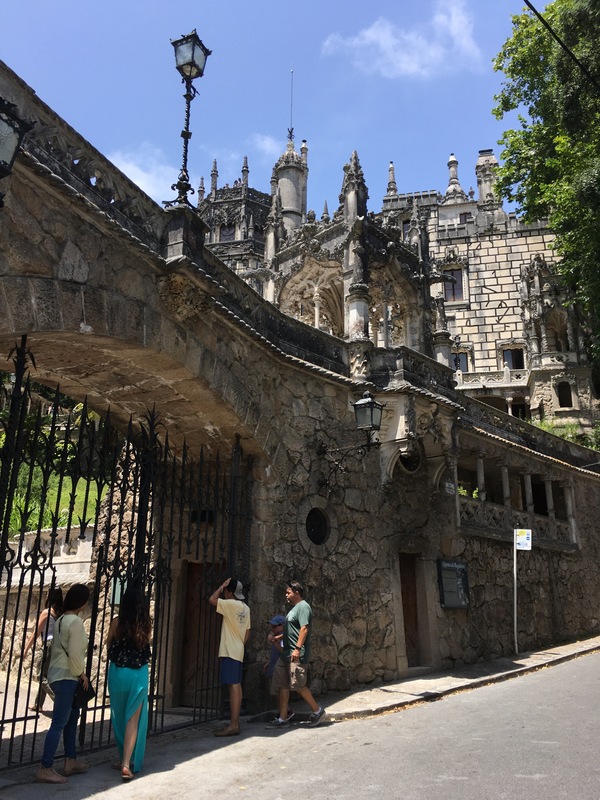 After a call to the company, and a three hour wait for the tow-truck, the guy was willing to drop us off at Porto – where we rented the car originally and where we need to end up by 5pm today so that I can get back to Santiago in time for my flight tomorrow. 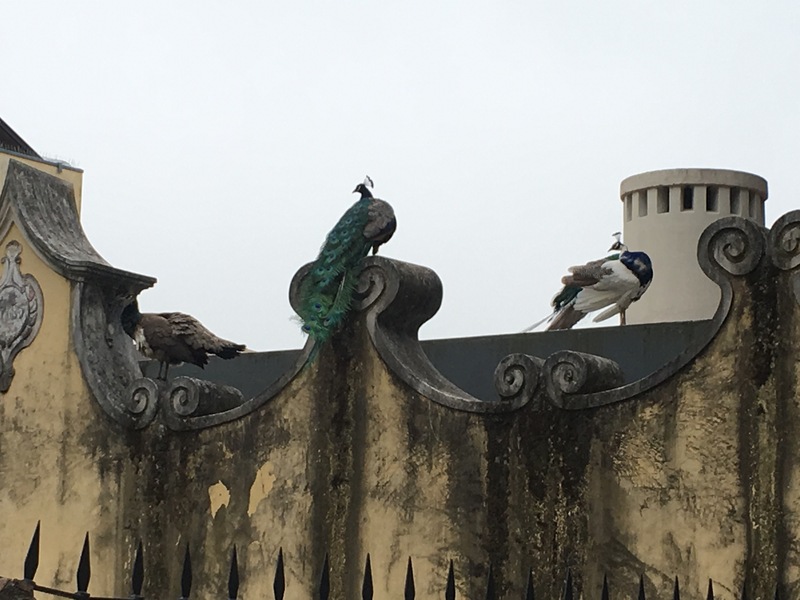 As of this writing, we are on time … But cutting it close. 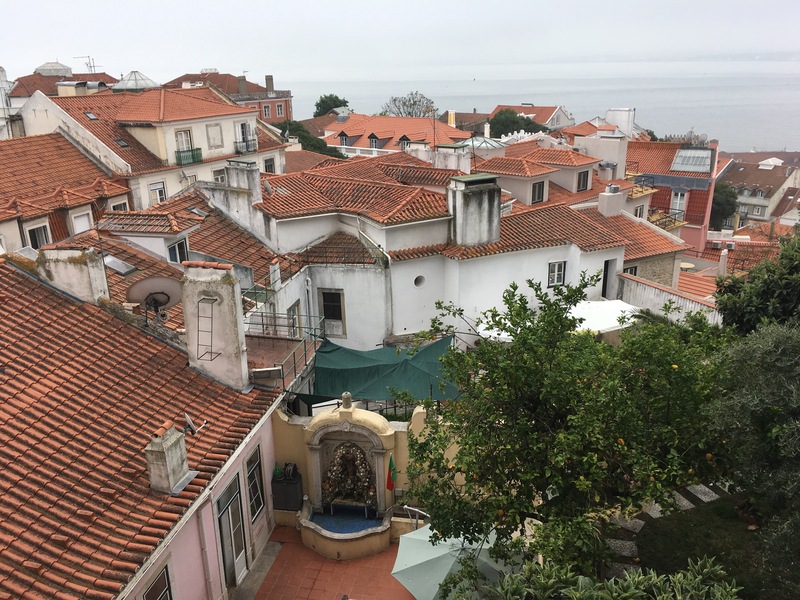 Let’s see what wkse this Portuguese adventure brings. 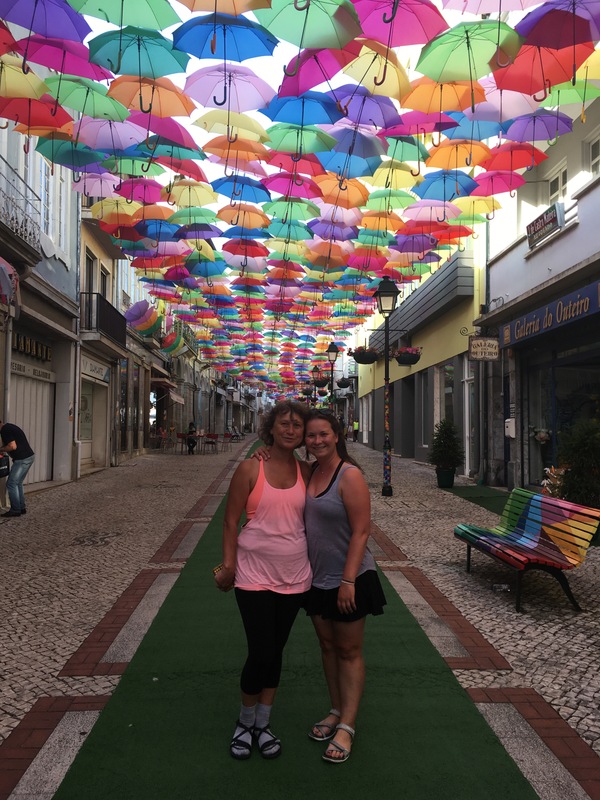 Mom and I are having a blast (as always). 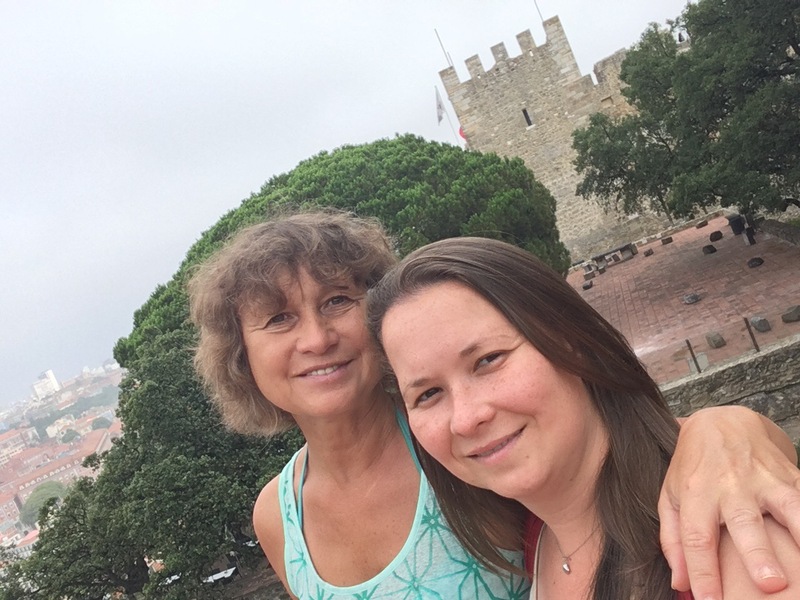 Here are some photos from our Porruguese Shinanigans or in Russian ( Priklucheneya na Zhopu). 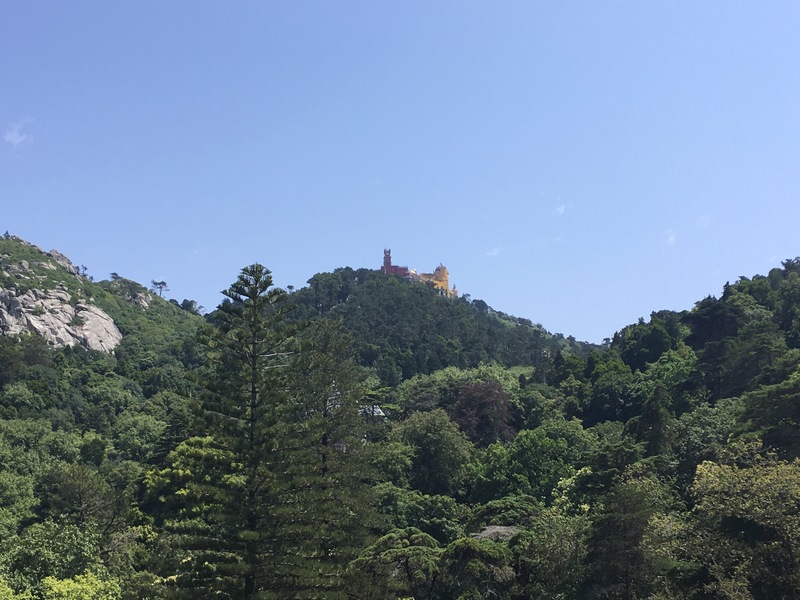 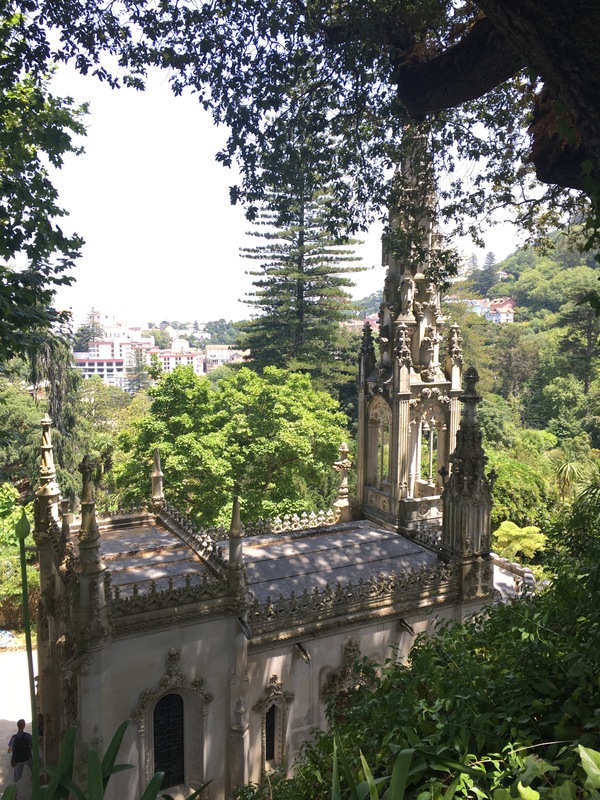 Sintra, Portugal – A magical fairytale mountain. 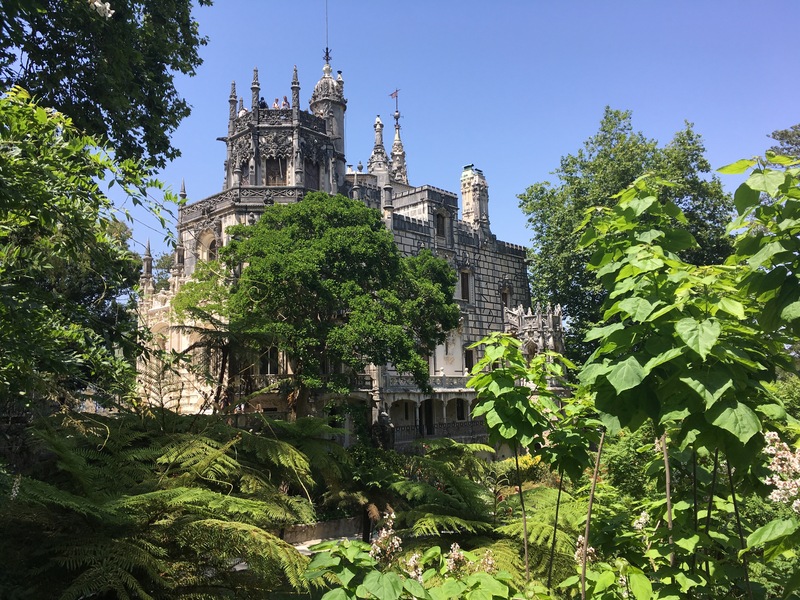 No fake Disney castles here.